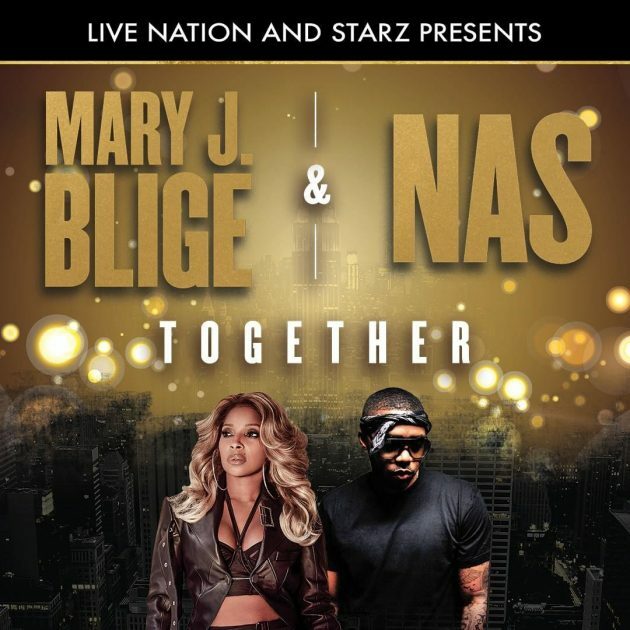 Earlier today it was announced via Live Nation that that legendary superstars Mary J Blige & Nas are gearing up to hit the road this summer together on their first joint tour . The Queen of Hip Hop Soul & the Rap icon will embark on a 22 city tour that kicks off on July 11th in West Palm Beach Flr & wraps up on September 10th in Toronto. Peep the full list of tour dates below as tickets are set to go on sale this Friday, April 19th, via LiveNation.com.